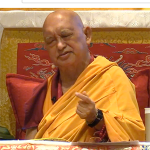 Teachings from Boston, Massachusetts, USA 2018 Venue: Kurukulla Center, Boston Date: 19 to 21 August 2018 Rinpoche gave the initiation for Red Tara and preliminary teachings in Kurukulla Center, Boston, Massachusetts, USA from August 19 to 21. 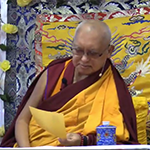 Teachings from Portland, Oregon, USA 2018 Venue: Maitripa College, Portland, Oregon Date: 10 to 12 August 2018 Rinpoche gave the oral transmission of the Prajnaparamita in 8000 verses and preliminary teachings in Maitripa College, Oregon, USA. 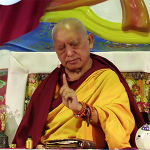 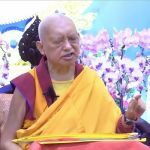 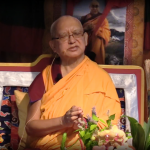 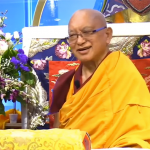 Teachings from Eudlo, Queensland, 2018 Venue: Chenrezig Institute, Eudlo Date: 1 June to 4 June 2018 Rinpoche taught on thought transformation and granted a Most Secret Hayagriva Initiation. 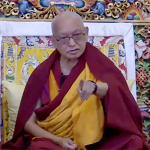 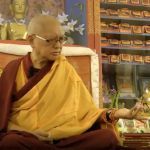 Teachings from Hobart, Tasmania, 2018 Venue: Chag Tong Chen Tong, Hobart Date: 25 May to 27 May 2018 Rinpoche taught on the Eight Verses of Thought Transformation. 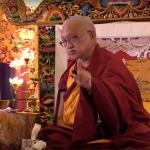 Teachings from Mani Retreat, Italy 2017 Host: Istituto Lama Tzong Khapa, Italy Date: October 5 to November 4, 2017 Lama Zopa Rinpoche has given extensive teachings during the one month 100 Million Mani Retreat in Istituto Lama Tzong Khapa, Italy. 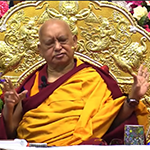 Teachings from Vienna, Austria 2017 Venue: VZ Praterstern, Vienna, Austria Host: Panchen Losang Chogyen Center, Vienna Date: September 29 to October 1, 2017 Lama Zopa Rinpoche gives preliminary teachings before the great Medicine Buddha initiation.